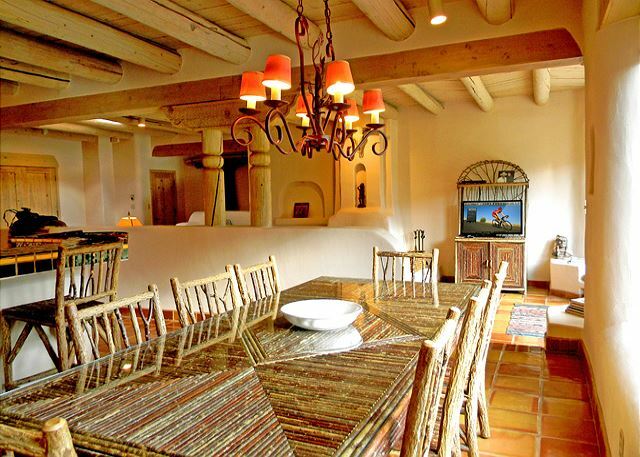 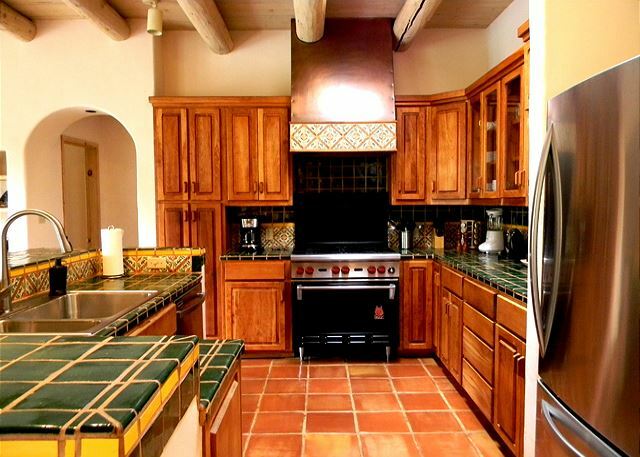 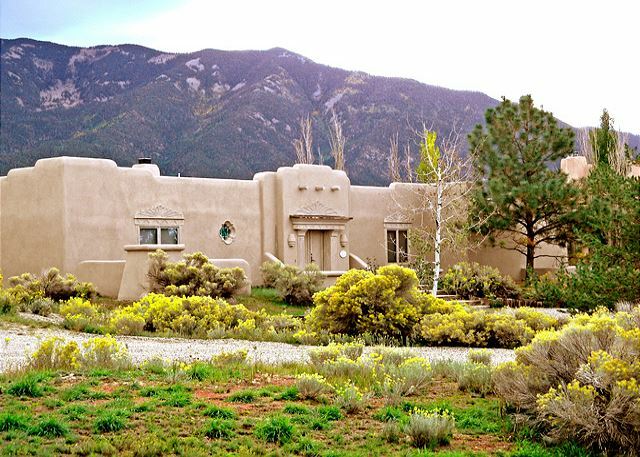 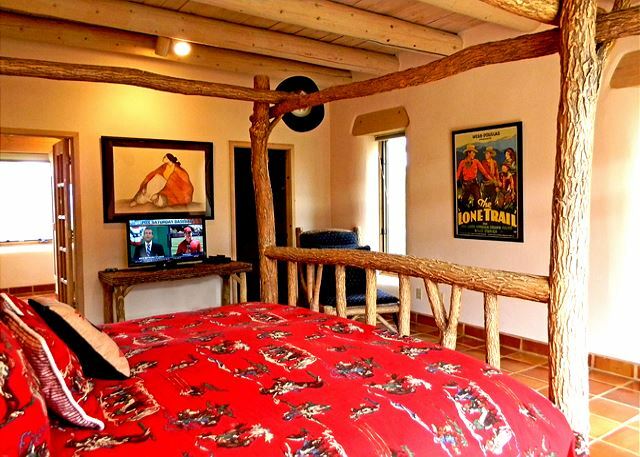 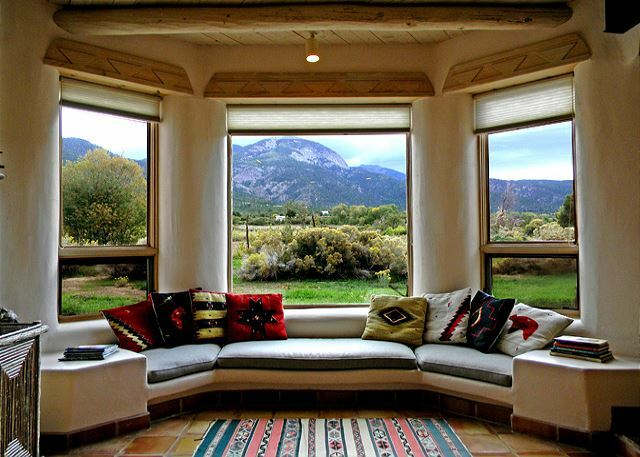 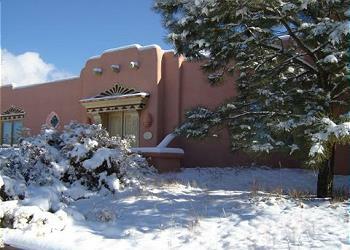 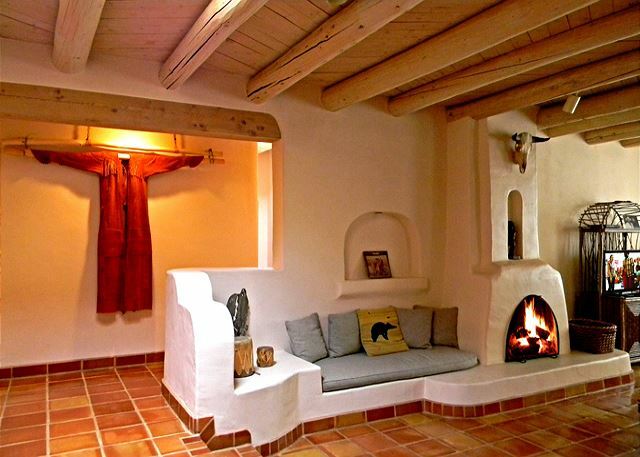 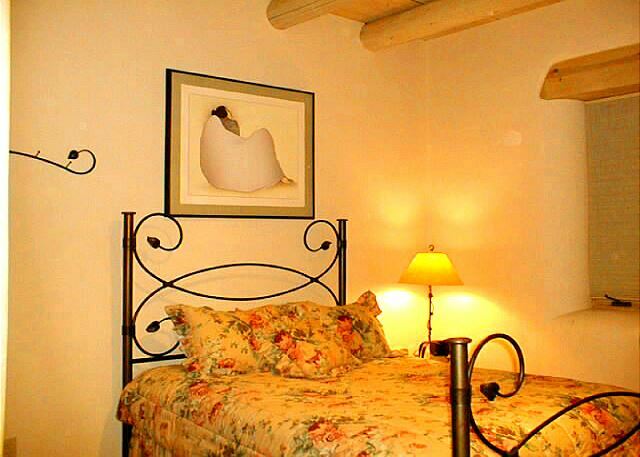 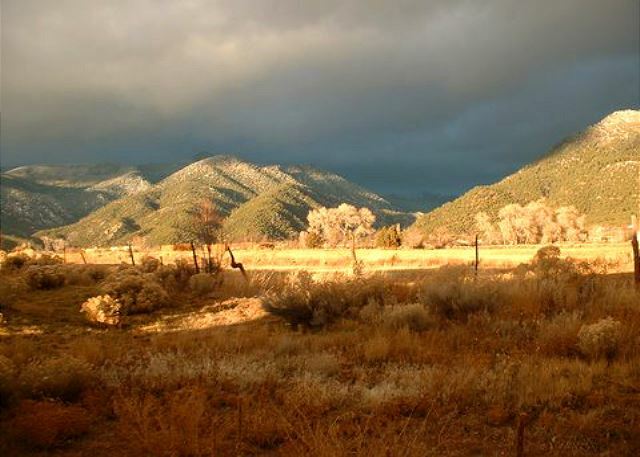 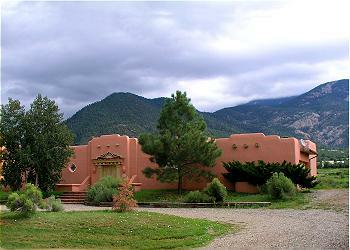 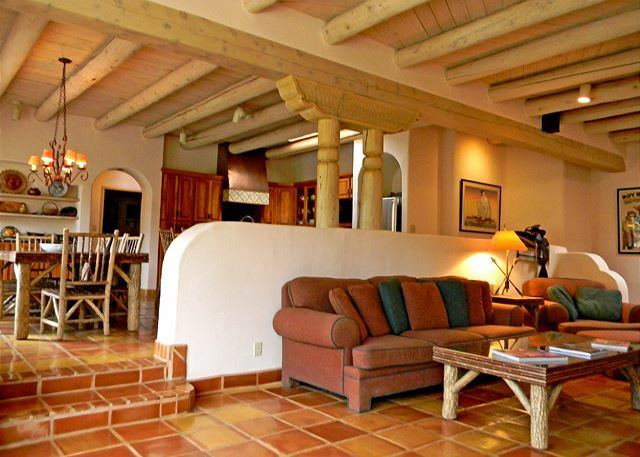 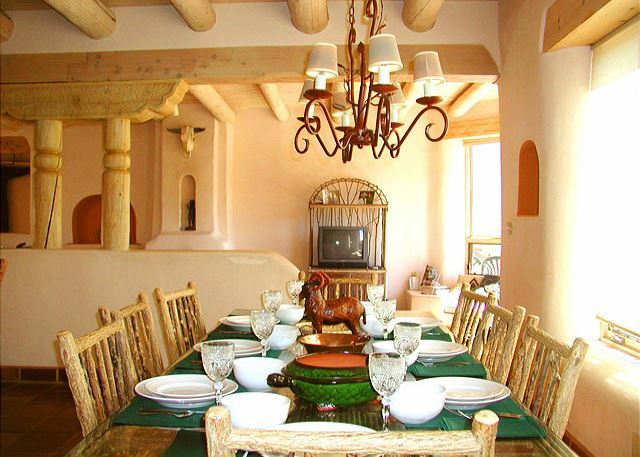 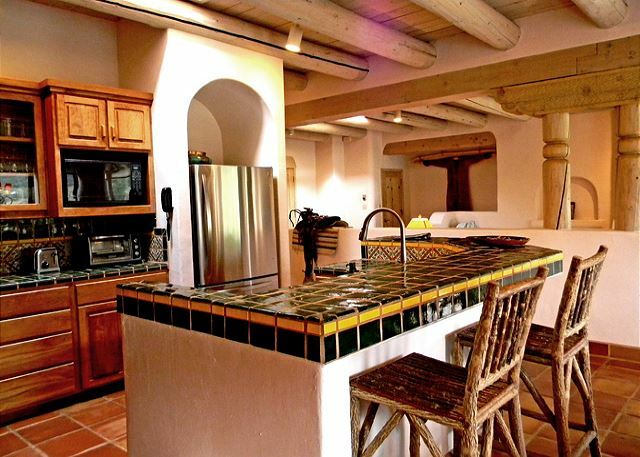 A beautiful Los Altos "very southwestern" adobe with gourmet kitchen and grand Taos Mountain views from across the horse & cow pasture. 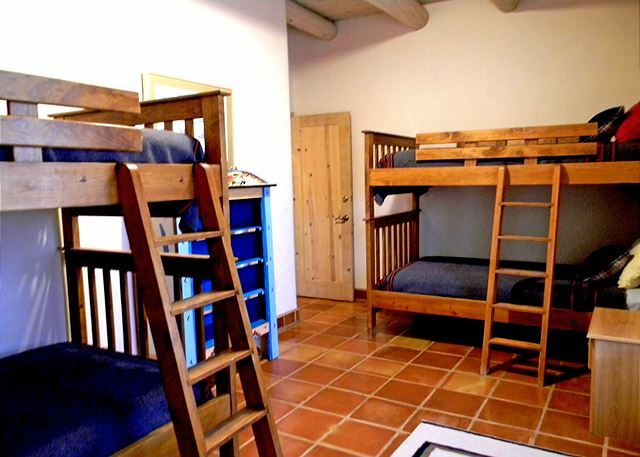 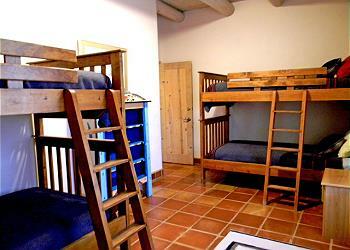 With 4 bunk beds in the 4th bedroom three couples and 4 children sleep very comfortably at Casa de Esqui. 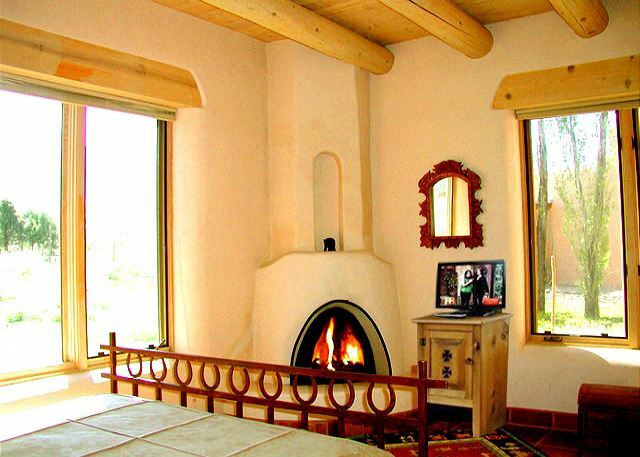 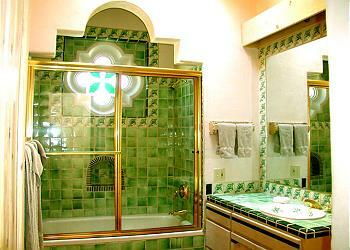 There are 3 Kiva Fireplaces - Living room and 2 bedrooms plus viga ceilings throughout. 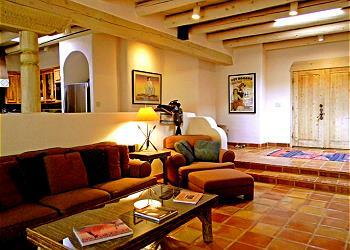 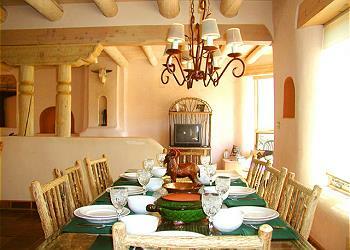 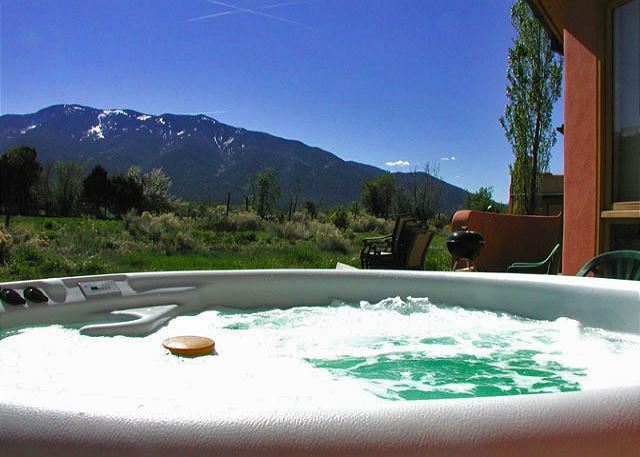 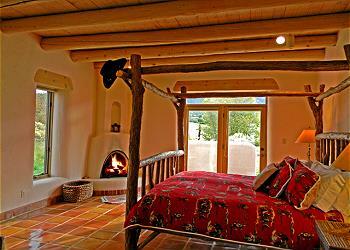 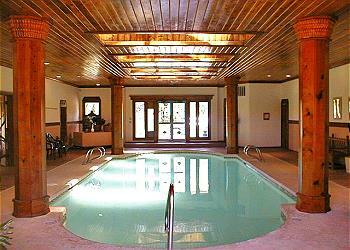 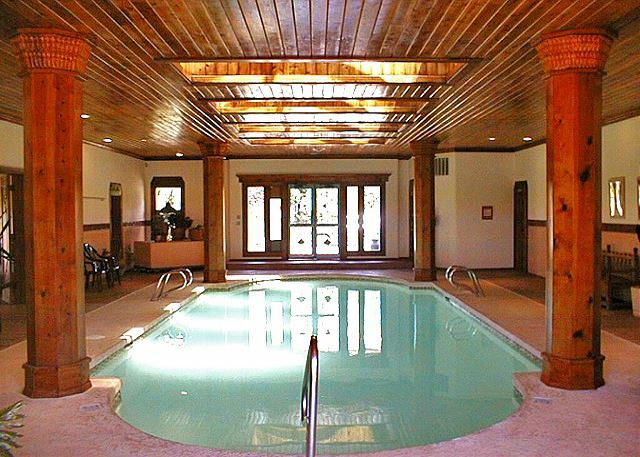 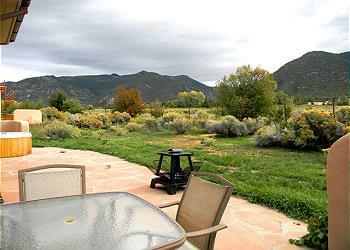 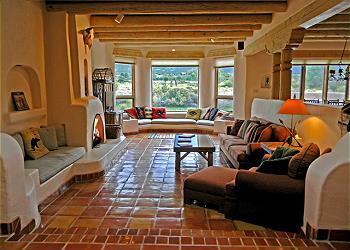 A large flagstone patio offers private hot tub, patio dining and of course glorious views of Taos mountain.